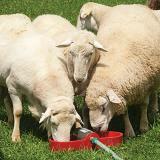 Low cost way to provide constant water to small groups of rams, billies, show sheep, orphan lambs, poultry, dogs, etc. We have had two of these in use for several years at Premier. They work well when the temperatures are above freezing. 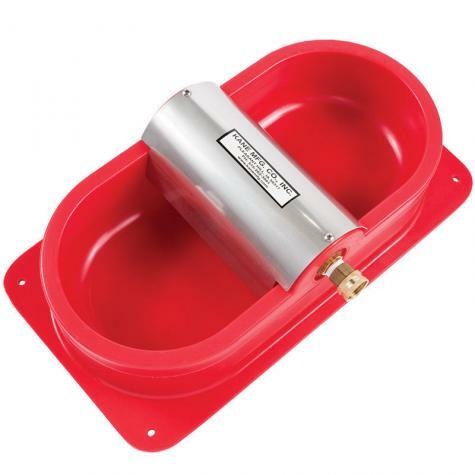 Connects directly to a garden hose. Float is built inside the cover. To refresh water just tip old water out. If required (we've never done it) it can be secured to soil with large, long nails. Do not use when temps are below freezing. This saves me so much time. 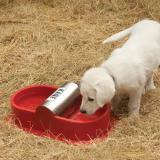 I no longer have to worry about my animals running out of water in the heat of summer! Great company to do business with. 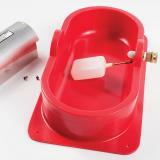 Problem free ordering, great products, fast shipping. Feel confident when placing an order. 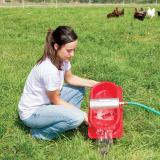 We should have bought one of these when we first got chickens six years ago. 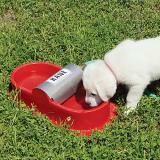 No more empty water pans on hot days! 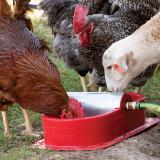 Stays full even with 80 chickens drinking out of it and they took right to it. We attached it to a long board through the four provided holes in the corners to give it a little more weight and stability. No issues with leaking or fill levels. The Kane Chicken waterer works great for the 150 chickens we have. We've tried others, but nothing compares to the Kane. Why not get the best from Premier? I bought two, one for the sheep/goats and one for the ducks. They are great, easy to clean and seem durable. They come with 4 pre-drilled holes in the base and I used to attach some 2x6's so the goats would be less likely to play with them. 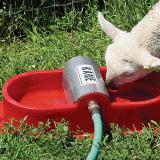 Similar to Joe H from New Hampshire, the sheep/goat waterer is gravity fed from a larger tank and the duck waterer has live hydrant water.